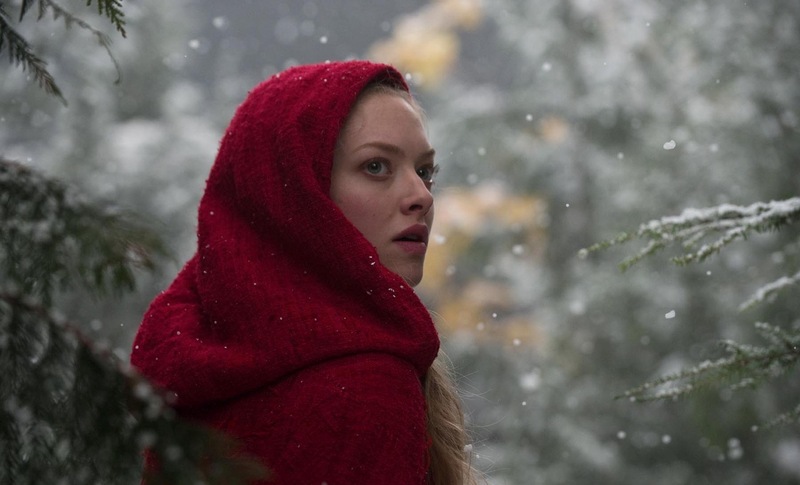 Uninspired and unoriginal, lacking anything of true value, "Red Riding Hood" is easily the worst film of the year. Made for fans of "Twilight" and trash romance novels. Imagine an even worse trash novel version of Twilight – yes, it’s possible – where the characters are even more flat, where the story is even less eventful, where the romance is even less believable, where the acting is far more atrocious, where the actors wear community theatre-quality short sleeve, bust-exposing costumes despite being set in the snowy dead of winter, where the surprise ending can be easily predicted just ten minutes in, where the filmmakers think you are incapable of putting two things together and spell out absolutely every evident detail, and then you will understand what you are getting yourself into with Red Riding Hood. Somewhere in the wooded mountains is a village haunted by a werewolf. Nobody knows the beast’s real identity, so they live in constant fear every time a full moon rolls around. Despite being told to keep to herself, our central character, Valerie (Amanda Seyfried, Letters to Juliet), ventures outside the town walls to pursue a forbidden love with a poor, axe-wielding lumberjack boy. You see, Valerie is betrothed a wealthy blacksmith. When Valerie’s sister is killed by the werewolf, the fear and paranoia finally becomes a reality. She begins to suspect everyone, including those she loves most. Matters are only made worse when a zealot werewolf hunter (Gary Oldman, Harry Potter and the Prisoner of Azkaban) and his militias take siege of the town. There isn’t a single characteristic of noteworthy filmmaking in Red Riding Hood – not in directing or special effects, and definitely not in writing. Calling this a “Red Riding Hood” tale is a joke. They took three characters, one article of clothing and a picnic basket from the old folktale, mixed it with Twilight‘s love triangle and the romance of a trash novel and slapped the “Red Riding Hood” name on it. Red Riding Hood is so terribly bad that it is not even laughably bad. You will hate it. It is dumb and insulting. If you make the mistake of seeing it, shame on you. If you make the mistake of seeing it and actually enjoy it, you deserve to be eaten by a gigantic brown-eyed wolf that has the capability of communicating to you through telepathy just so he can tell you how naive you are as your mangled corpse enters his digestive tract.